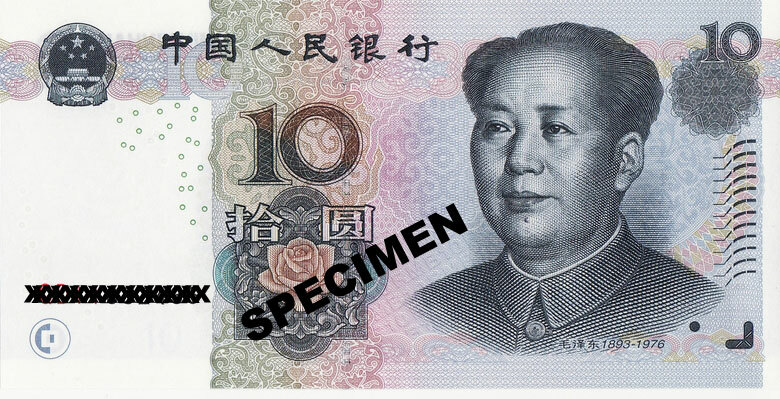 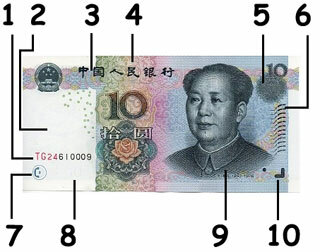 The letters, 'RMB", and the numeral, "10" can be viewed with the help of a magnifying glass. 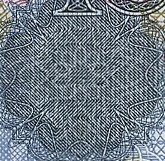 When the banknote is viewed from a certain angle, the number "10" appears at the top right of the note. 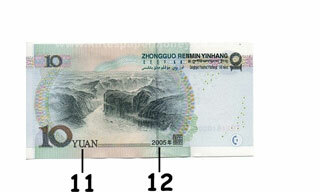 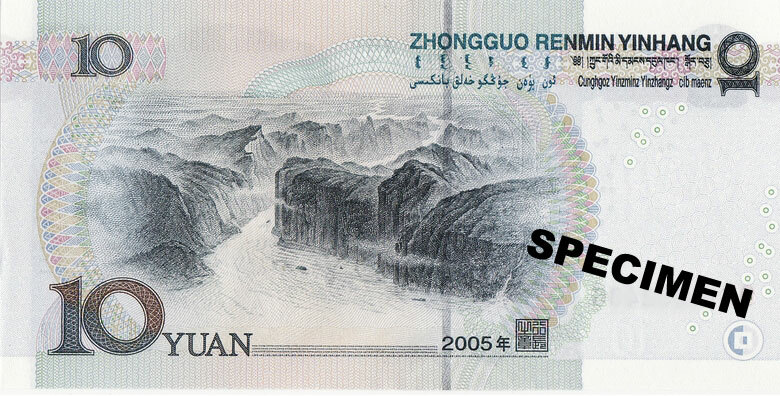 Lines printed in the right of the 10 Renminbi/ Yuan note, made by intaglio printing feel raised. 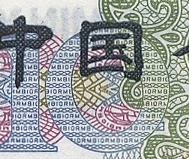 Symbols for visually handicapped are applied by intaglio printing on the obverse side lower right corner of the 10 Chinese Renminbi/Yuan note.